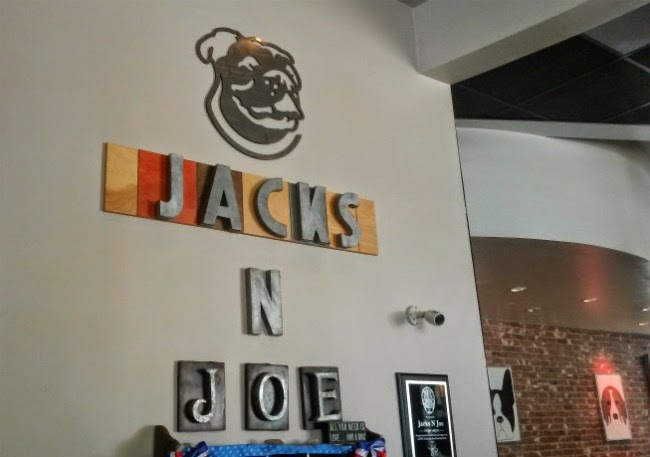 Jacks 'n Joe is an all-day breakfast spot on S Figeuroa Street in Los Angeles, California. It's not far from the USC campus. 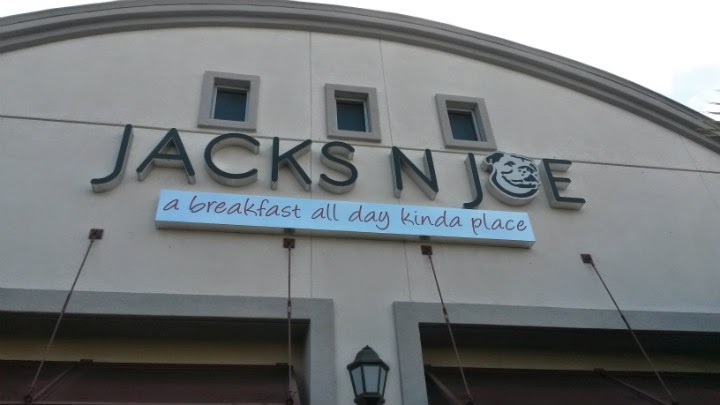 A friend of mine suggested that I try this place out for breakfast. 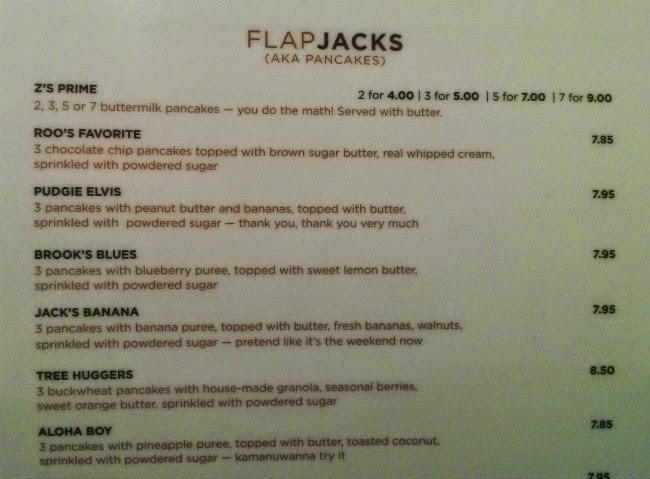 As the name of the restaurant implies, you can get your jacks (as in flapjacks) and joe (coffee) here. If protein is more your style, you can also get some 3-egg omelets here. You know it's USC territory when you see "Fight On!" ($7) on the menu. 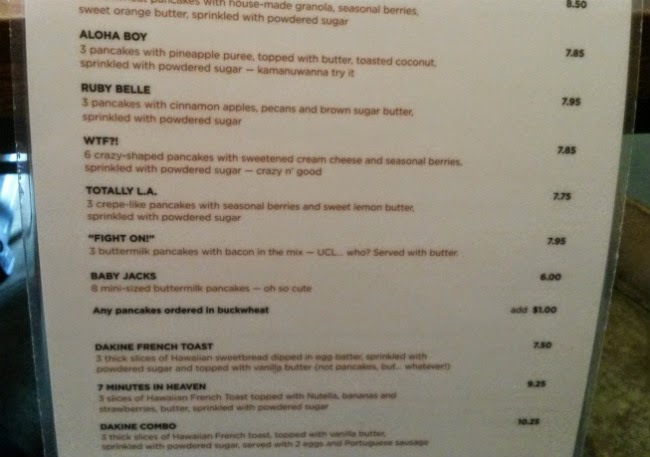 Description reads: "3 buttermilk pancakes w/bacon in the mix -- UCL...who?" 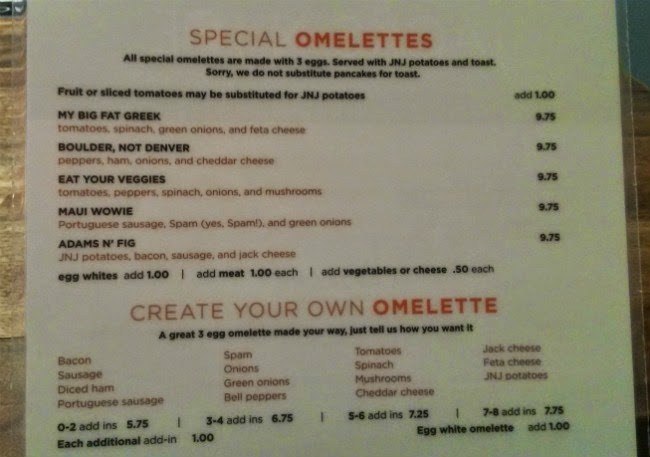 Being an omelet guy, I got the "Boulder" omelet, which has ham, cheddar cheese, peppers, and onions. 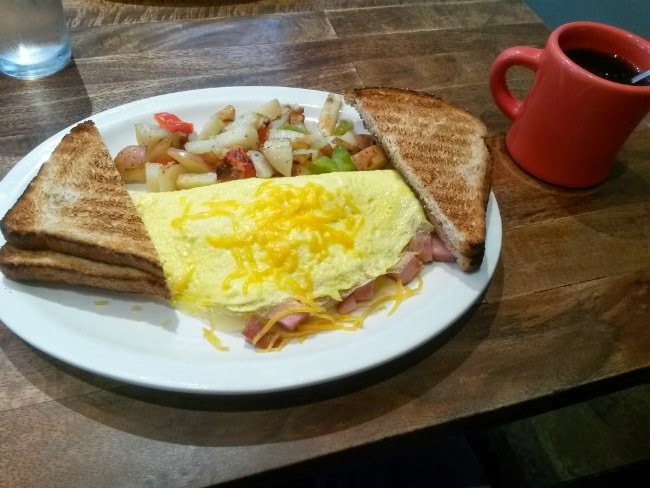 Omelets come with potatoes and toast. Of course, I also had coffee with my meal. It's a good omelet. I think the sliced onions were cooked a bit much for an omelet, becoming more of a caramelized state when it was all said and done. I personally prefer a diced onion that retains a bit of crunch. I also would have liked a bit more meat in the omelet itself. I will say the pancakes here are great. 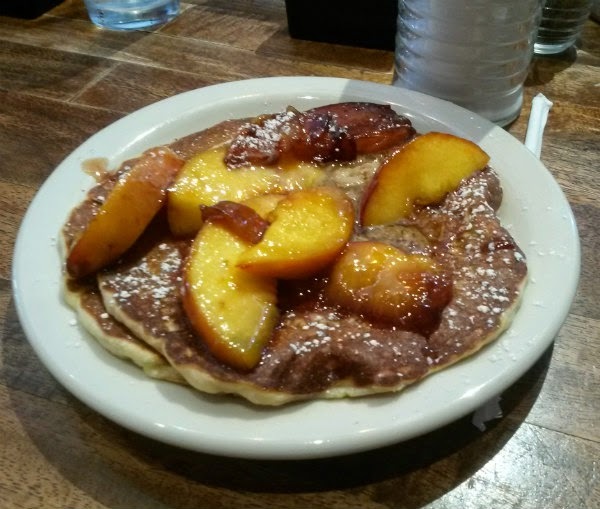 I loved the peach pancake special running at the time of my visit in late June. Fresh fruit on top is always awesome. 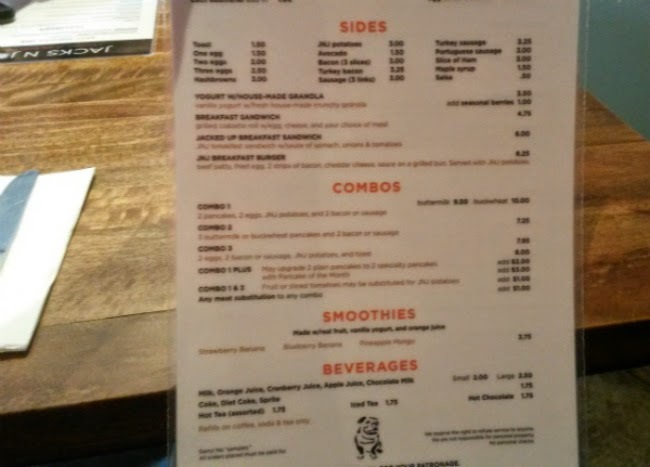 Other breakfast items of note include a breakfast burger (beef patty, fried egg, two strips of bacon, and cheddar cheese on a grilled bun) and "DaKine French Toast" (3 thick slices of Hawaiian sweet bread dipped in egg batter, sprinkled with powdered sugar and topped with vanilla butter).